If a natural disaster hits, you’re at the mercy of Mother Nature. Sadly, she is a cruel mistress and causes havoc. When the power goes out, it’s essential to find a new supply source as soon as possible. Certain appliances can last, whereas others will break down in a matter of hours. Refrigerators can not keep food cool without electricity, nor can the boiler prevent pipes from freezing. The worst thing about a blackout is the duration. Some last for a few hours, but others may go on for days and weeks. There are even stories of outages which lasted for months, particularly after floods and hurricanes. One answer to your prayers is a standby generator. It kicks on when there is an issue with the main supply and acts as a backup. As a result and because they can power entire homes, this provides property owners with peace of mind. 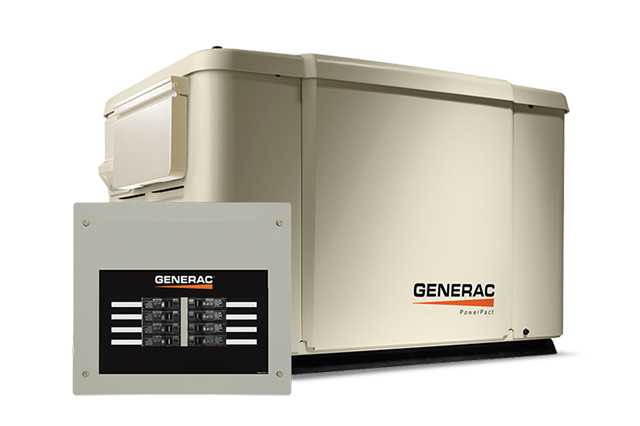 Whether you’re at home or in the eye of the storm, you can always count on the standby generator to pick up the slack. A standby generator is an installed appliance which comes with different engine forms. They range from diesel or propane to natural gas, although the latter two are the most commonly used and the most popular. An example of this is when the AC unit turns on and adds to the resistance. How does it do this? The answer is through a feature called the ATS, or the Automatic Transfer Switch. The ATS is what chooses the home’s power source. During a blackout, a generator will signal to the switch to make the transfer. When this happens, the house is isolated from the utility lines so that the standby generator doesn’t overload. As soon as the utility power is back, the ATS switches again and shuts down the generator to cool down and save energy. There are two types of home generators: portable and standby. The one you decide to buy should tailor your needs in your home. Take a look at the pros and cons of both to find out more. 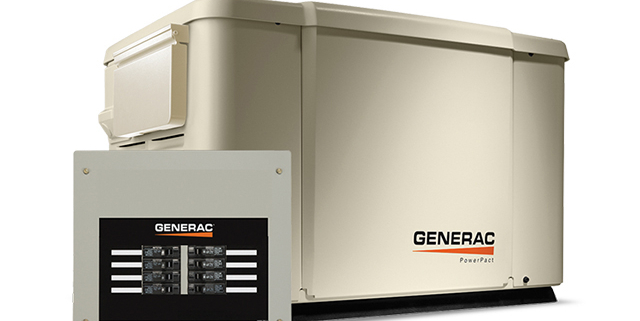 This type of generator can provide partial power for a standard size single family home, and it is less costly because there is no installation involved; however, it might be a hassle because it has to be turned on and off manually. 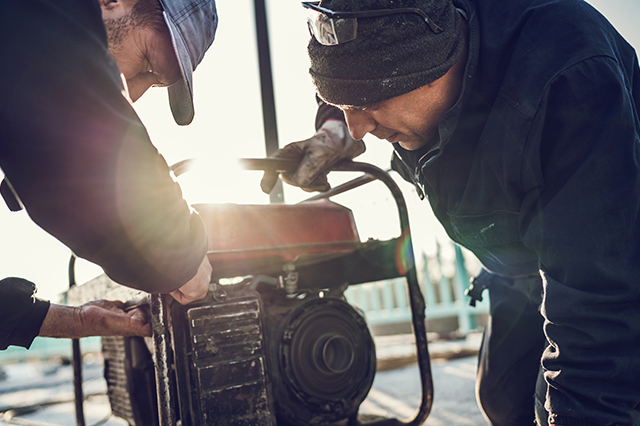 Standby residential, commercial, or industrial generators can use propane, natural gas, or diesel. In the case of natural gas, it can only be hooked up when the property location is part of the grid. You can call TECO or Florida City Gas, the ONLY gas suppliers in Florida, to find out if they are on the grid and they can place a meter at their home. Diesel and propane options need a tank, and it has to be filled by a gas provider of choice. A popular one is Dolphin Gas. Natural gas is provided by the city, and it is generally an unlimited supply. The meter tracks usage and bills accordingly. The advantage of a standby generator, in general, is that it is automatic. Use the following as a general guide. A 2,000 square foot home with 4 tons of air conditioning seeking whole house coverage will need 16,000 to 20,000 watts of power (16kW – 22kW). Is There Anything Else About Generators? Yes, don’t forget about emissions, fuel, and noise, as well as the cost and your safety. Always read the supplier’s instructions before operating and turn off the power just in case. For all your generator needs, from installation to repairs and replacements, come to us at EmPower Generators. We’re professionals who can help smooth out the process. Contact us for more information.